The first World Golf Championship of the year takes place with the Tour making a stop at Club de Golf Chapultepec in Naucalpan, Mexico. This is the second year in a row they have played the event at Mexico as it was previously a stop at Doral. Smith passed away in 1914 as the course design was not completed. His brother, Alex, finished the design in 1921. A lot of this reminds me of Castle Pines which was one of the best courses on Tour with its old school design and high elevations. Anyway, last year’s data shows that the course was very much a long approach and quality driving course, so that is the golfers I’m most interested in. This was the driver I was fitted for at True Spec Golf except for the shaft which was an Aldila Rogue 65 Elite Blue X-stiff shaft. My purpose of the True Spec fitting was to find a lower spinning driver head that I could bring to Fujikura when I get fitted on their ENSO machine in April. I purchased the driver at Edwin Watts as they had an X-Stiff shaft options, but it was only between the Project X HZRDUS and the Project X EvenFlow. The EvenFlow is too boardy for me, so I took the HZRDUS which isn’t the greatest of fits, but it will suffice for now. The HZRDUS originally came in at 2,865 MOI at 45-3/4” long (too long for me). I cut it down ½” and it got the MOI to 2,795. I prefer 2,825 with my drivers, but this is close enough for now. This was what I was fitted for at True Spec, except for a Veylix Rome 788LR shaft. I can handle the length of the shaft, but it is very light and I don’t quite feel comfortable hitting shots with it that have a higher degree of difficulty. It also launches higher and spins more than the Veylix shaft. But when I catch it pretty good, it performs much better than the old Cobra F7+. Again, I’m awaiting on the fitting with Fujikura to find the right shaft for me. As I’ve said often times, I believe that the club you should play best in your bag should be the hybrid. It is the club that is often used to hit the ball the furthest from the worst of lies and you need to be able to hit a variety of shots with the hybrids. I like the performance of the Titleist hybrids. They may spin and launch a little too high to get that extra distance, but I’m not looking for extra distance with the hybrids…particularly when I am trying to get the ball to hold the green. I will probably be looking for a new set in the Summer or Fall. I have come to believe that while I prefer the turf interaction with blades, the high spin rates is a problem for my swing. So, I want to look at a CB head with lower spin rates. Forgiveness in an iron head is not very important for me since I’ve been playing blades since was a junior golfer and you’re really trying to hit the sweetspot anyway. I will probably see what graphite shaft options are out there to help with elbow, shoulder and arm pain that tends to flare up. I’m interested in the TaylorMade 790, the Titleist T-MB’s and even PXG although I will have a difficult time justifying their price point. 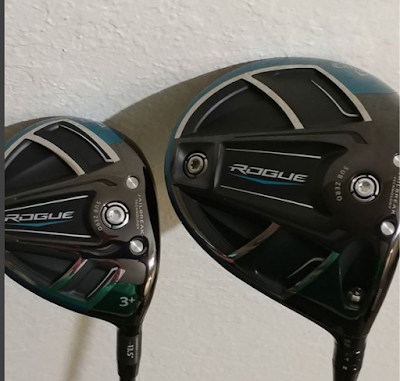 But lately I have come to believe that when it comes to fitting you’re probably better off fitting to find the right club head for your swing, first. Then seeking out the shaft to go along with it. I used to be more of the other way. The True Spec fitting just re-confirmed my thinking. Some may remember that I had a 56* K-Grind a few years ago and I really loved it. However, I decided to go to a wedge setup of PW, 52* and 60*. At the time, Miura did not have a 52* K-Grind. When they created the K-Grind in the 52* I was skeptical of the low bounce as I prefer the 12* bounce in the 52* wedge. However, I tried the K-Grind 52* at the PGA Merchandise Show and loved it. The biggest difference is that it performs entirely better out of the sand than my Vokey SM6 or SM5. I think I finally found that 52* that meets all of my needs. Still the best LW I have ever hit. The ability to hit so many different shots from difficult lies and it’s fabulous out of bunkers. I don’t plan on ever removing this from my bag. I typically find a replacement after one year is good. However, in the last year I have not played as much golf, so I may not seek a replacement head until 2019. PUTTER – Bettinardi Queen B #9, 34” long, 71* lie angle and 3* loft, ½ shaft offset. This is a putter I am using for now as I get my putting mechanics sorted out before I start to get fitted for a putter from Bruce Rearick (https://bargolfinstruction.blogspot.com/). I have taken a liking to the ½ shaft offset designs. This is not a face balanced putter, but it only has a smidge of toe hang. It’s also buttery smooth. Even softer than most Bettinardi. I have found these golf balls to be a bit more preferable than the Pro V1x although I would like to test them more using the FlightScope Mevo. At the True Spec fitting we were using the TaylorMade TP5x. The Bridgestone is softer and performs nicely. When the courses die down come summer, I will get more time on the course to test them out with the Mevo. The Tour makes the Florida swing starting with the Honda Classic at PGA National. The tournament was founded 46 years ago and is a staple in south Florida golf. Now with Doral out of the Tour lineup the crowds will be bigger as from Naples to Miami to Palm Beach it is the closest event residents can go to. I think another reason for the big crowds is that the practice rounds are practically dead. Most of the field will either be coming in from LA after Riviera or going to their home course nearby to practice on Monday and Tuesday. Then they are obligated to play in the Wednesday pro-am if they are scheduled to do so. PGA National has a pretty good reputation on Tour. It’s always in fantastic condition and none of the holes are gimmicky. You won’t catch Tour players that live in the area playing it because it’s open to the public (if they stay at the resort) and it’s one of the most difficult courses on Tour. While the Bear Trap gets a lot of attention, it’s so difficult that the deviation in score is small. The last critical hole on the course will be the par-3 15th hole. That’s an interesting hole because it’s a high make percentage putting surface and there’s a high scramble conversion percentage out of the back bunker. But, it’s so easy to miss the green and end up in the drink that it can make for a double or triple bogey quickly. The course really revolves around long approach shots, but the winners really take advantage of the par-5’s. This is typical of most par-70 golf courses where the winner can gain key shots on the par-5’s. On Saturday I got my woods fitting at True Spec Golf (www.truespecgolf.com) at Lake Nona Golf and Country Club True Spec golf is another high end custom fitting company with all of the latest technology in helping custom fit clubs along with an abundance of heads and shafts to choose from. I was interested in checking them out because they are an outdoor fitting studio (and at Lake Nona) and I was looking into possibly getting fitted for irons there in the future as well as their unique putter fitting studio. As I’ve mentioned, being at Lake Nona has its perks. 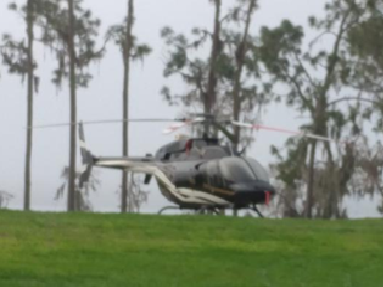 Lake Nona is my favorite course in all of Central Florida and you know you’re not at your local muni when there is a helicopter pad right next to the clubhouse. The main goal for me was to find a lower spinning driver and 3-wood head. I will certainly take their suggestions for shafts, but I am set to be fitted at Fujikura HQ on their ENSO machine in April. My current gamer was a Callaway Epic (non-Sub Zero), 9* loft with a Fujikura Atmos 7x Blue shaft. When I’m swinging poorly, my attack angle gets too far upward (+6 degrees) and the the launch angle starts getting over 16 degrees while I start hitting shots thin and generate a spin rate of 3,200+. When I’m swinging well, I can lower those launch metrics…get the launch angle closer to 13 degrees with 2,800-ish spin rate. So the goal was to find a head and shaft combination that I could get closer to 2,000 to 2,500 rpm’s while sustaining a launch of no more than 14 degrees. The True Spec studio is located at the back of the range of Lake Nona. The staff at Lake Nona are eager to help as I had to be shown where the studio was. The range was pristine as always. The grass was very tight, yet plush. And they not only mow the grass at the range, but they have an air-blower that makes sure the grass clippings are blown to the side. We started off with the driver. I got some warm up in as the fitter went to get a bunch of heads and shafts. One thing I warn to golfers going to a high end fitting place is to conserve their energy. You’re going to make a LOT of swings in a small period of time and it’s easy to tire yourself out. I was hitting the ball well in the warmup and after 7 swings I stopped to conserve myself. In the end, I don’t think my current game was a bad fit for me. The Epic head (not the Sub-Zero) is more of a higher spinning head so the head could have used an adjustment. We tried a variety of different shafts. The Ping G400 LST I just didn’t hit it well. It launches too high and I would lose shots to the right with it. I was skeptical about the M3 at first because I know it’s a higher spinning head than the M1. I hit it well, just it launches high. I could keep the spin rate under 2,500 rpm and I really like how forgiving the club was. I think TaylorMade is really onto something with the Twist Face technology. We tried a variety of shafts, but the two shafts that worked best for me were an Accra shaft and a Veylix shaft. The Veylix shaft ended up winning out. We found similar results in the Ping G400 and the TM M4 that we did with the drivers. The Ping missed high and right. The TaylorMade performed pretty well, but launched too high. It then came down to the Cobra and the Callaway Rogue and they have very similar launch numbers, but for whatever reason the Cobra carried about 5 yards shorter on average. I think in the end I was not too far off with my driver, just the head fit was more problematic as the Epic is a higher spinning head. However, the 3-wood fit was dramatic as I added 18.7 yards of carry and 22 total yards. What was crazy was that I was not used to seeing a 3-wood fly like it did. If there’s a downside to these high-end fitting studios is that they use ‘ala carte’ pricing and everything is at Retail. It also charged $10 for the grip (Golf Pride Tour Wrap 2G midsize) which go for $6.99 retail. The value of places like True Spec Golf is their selection of equipment and the technology to help find the best possible fit. Having been to numerous places like this, the sticker shock can turn people off to he product, but if you’re seeking to find the best possible fit and find the components on the internet or on eBay, it can be very beneficial. I got my PuttOut training aid from the PGA Tour Superstore for $29.99. Since I got back into the game in 2009, putting has no longer been a strongsuit of mine. I have found that I can putt well in competition if I adequately prepare myself. But it really starts with nailing putts from 3-6 feet for me. I have a tendency to run real hot or cold from that distance whereas putting from say 10-20 feet my deviation in performance is much narrower. The idea of the PuttOut was more specifically to train for the 4-foot putt. The plastic white cup provides a real life cup situation. And the ball rolling up the ramp and back to the golfer allows them to hit more putts and get more practice in (theoretically). If the ball goes over the cup, up the ramp and back to the golfer, the golfer (again, theoretically) would have made the putt. If the ball rolls off the side, then (theoretically), the golfer probably would have lipped out the putt. It also has a small hole that can be used. If the ball is captured by the hole on the ramp, the golfer has hit the putt the perfect speed. What I like about the PuttOut is the ease of use. It’s very light and small. You can fold the PuttOut and even store it in your golf bag. It’s main purpose is to use at your home or office. They do have a mat that can be rolled up to give a smoother surface and a projected 10 on the stimpmeter that retails for $89.99. Granted, the ease of use is not a main priority for me when it comes to a putting training aid. I am looking for something that will turn me into a better putter. But the PuttOut’s ease of use is certainly a selling point for the product. It’s not a pain to set up, it’s not too big or too heavy or complicated to assemble. As far as the purpose of what it was supposed to, I will start out with the ‘roll back’ feature. This is where the ball rolls up the ramp (on a presumed ‘made putt’) and comes back to the golfer. I generally found that the ball will roll back about 18” to 24” from the hole when I was putting on my carpet. I was putting on a fairly normal carpet, so more plush carpets would result in it rolling back less and more firm, fire-retardant type carpets would allow for more roll-back. In the end, I would reach for the ball with my putter and bring it back to where I was putting from. There are devices that shoot the ball back to you, but they are a bit cumbersome as well. Overall, the roll back feature wasn’t that great. The latest science claims that the perfect speed of a putt is 2-3 revolutions per second. There are some factors that can change that perfect speed. Faster surfaces (or downhill putts) would mean a perfect speed closer to 2 revolutions per second. Slower surfaces (or uphill putts) would mean a perfect speed closer to 3 revolutions per second. I have no idea if Putt Out adhered to that scientific claim or not. But when using the Putt-Out, the putts that would have been deemed to have gone in the hole did appear to be putts that would go in the hole. Personally, I prefer the ‘perfect speed’ feature where you open the hole in the back plastic and if you hit a putt the perfect speed the ball will get stuck in the hole. I cannot say for certain that the ball getting stuck in the hole was actually on perfect speed putts, but it appeared that…at worst…it was not too far off. If anything, it appeared that putts that stuck in the ‘perfect speed hole’ were maybe a hair slower than perfect speed. But again, I have no real proof backing that up. Well, there are a couple of ways I look at the data. The closer the correlation number is to 1.0 means that there is a stronger direct relationship between make % from a certain distance and the player’s Strokes Gained – Putting on *all* putts. The chart above shows that 5-foot putt make % has the strongest correlation, followed by 4-foot putt make %. Then 6-foot putt make % has the 3rd strongest correlation and then there’s a sizeable drop-off in correlation when we go 7-foot putt make percentage. This chart shows the Tour average make % from each distance in 1-foot increments. It also shows the average putts to the hole from each distance. I then make a column to show how many strokes are lost if the player misses the putt and 2-putts from each distance. Finally, the last column shows the difference in strokes lost on a missed putt from the previous distance. For example, from 7-feet the average Tour player makes 56% of their putts. From 8-feet they make 49% of their putts. That translates to the average player having 1.443 strokes to the hole from 7-feet and 1.515 strokes to the hole from 8-feet. That also means if the player misses the putt and 2-putts…from 7-feet they lost -0.557 strokes to the field and from 8-feet they lost -0.485 strokes to the field. Since a 7-foot putt is closer…the make % is higher. And that means that when a player misses a 7-footer, it’s more severe of a penalty (in terms of judging putting skill) than if they missed an 8-footer. 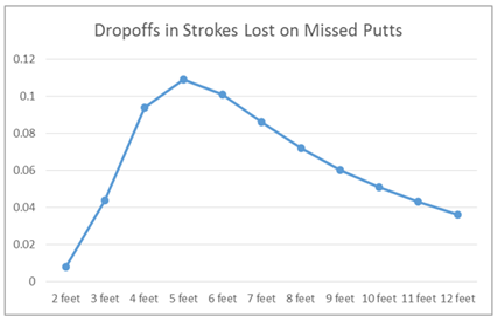 But the drop-off in strokes lost (-0.557 for a 7-footer missed vs. -0.485 for a 8-footer missed) is 0.072 strokes. The biggest dropoff according to the chart is when a player misses a 5-footer versus missing a 4-footer. The second biggest dropoff is when a player misses a 6-footer versus missing a 5-footer. It just means that the most significant drops in make percentages occur on putts make from 5-feet versus 4-feet and then on make percentages from 6-feet versus 5-feet. 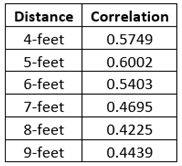 As far as the correlation between make %’s from certain distances and Strokes Gained – Putting…my guess is that the slightly different change in the results (4-footers being more important than 6-footers) is that on Tour there may be more 4-foot attempts per round than 6-foot attempts per round. So, what does that have to do with the Putt-Out training aid? If the aid is meant for putts around 4-feet long…then they are on the right track in terms of what golfers should work on. The data suggests that 5-footers are more important, but in general the average golfer cold probably work on putts from 4-6 feet and I don’t think moving back a foot or two with the Putt-Out defeats the purpose and use of the training aid. Also, since the Putt-Out is more focused on speed control, I think that's the right thing to focus on for 4-6 foot putts. As I have talked to numerous putting teachers about golfers that struggle on short putts...usually it's a speed control issue and usually the golfer is hitting putts too hard and trying to 'take the break out of the putt.' With the Putt-Out, you can certainly 'make' putts by ramming them in, but you will not get the ball to stick on the perfect speed putt hole. I think the pricing point could be a little lower, but avid golfers can get great use out of it and beginners could be really helped by the speed control visual the Putt-Out provides. You can use the Mevo in conjunction with your iPhone or Android. There’s a free App that you download with the Mevo and the settings allow you to adjusted if you’re taking a full swing outdoor, full swing indoor or chipping. It allows you to adjust the altitude you are playing at. I found that to be a little cumbersome since I am only at about 30 feet above sea level and once you get below 1,000 feet it is difficult to adjust the slider to a reasonably close level of your altitude. For me, I just kept the altitude at 0 feet since we are so close to sea level. 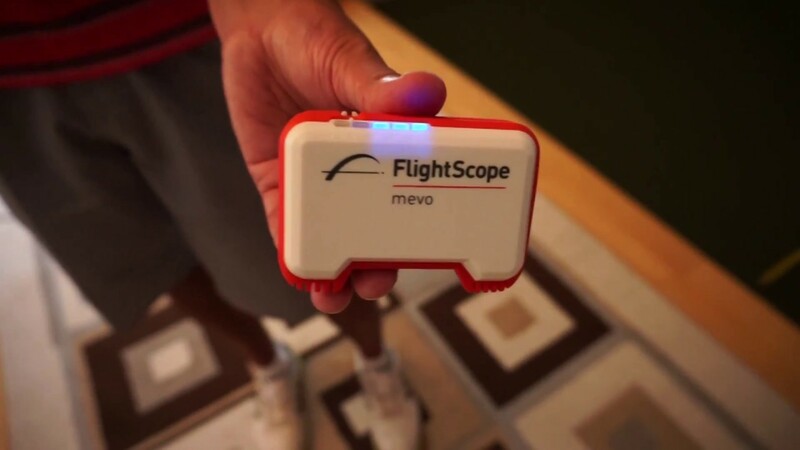 Like the other reviews you will see, I found the Mevo to right in line with other launch monitors. I did not measure it side by side with a launch monitor. Instead, I was on a Trackman a few days prior with a driver and the numbers were almost exactly the same when I want on the Mevo. The only number that changed a bit was the club speed, but I was using a TaylorMade M1 driver on Trackman while using a Callaway Epic driver on the Mevo. Driver designs reek havoc on club speed measurements. Also, the instructional guide says the Mevo should be about 4 feet behind the ball and from reading the reviews you have about 4-7 feet to work with. As Erik Barzeski points out, moving the Mevo around a bit and allowing the Mevo to get a few swings in will get more accurate club speeds. I did not know that. Although the club speeds were only about 2.5 mph slower, tops, than Trackman while the ball speeds were the same as Trackman. I did have some connectivity issues at first, but that started to resolve itself after some firmware updates. I have yet to have used the stickers. The stickers are more meant for indoor use to track carry and spin rates. There is some discussion that without the sticker and using it outdoors it may read some inaccurate spin numbers, but it appeared to have worked well for me thus far. You put 1 sticker on the ball and you can purchase extra stickers for cheap. While I have had my fair share of criticisms about launch monitors and their data, I’m not against using them for instruction, practice and club fitting. My criticisms have more to do with the margin for error being greater than many of these companies’ claims and using the launch monitors for scientific research without knowing the actual margin for error. Having worked in scientific research on the statistics end, it is quite okay to use a measuring tool that has a margin for error. Even if it is a somewhat sizeable margin for error. The key is to get an accurate determination of the margin for error so you can account for that. That will allow the researcher(s) to come up with more accurate data and conclusions. The other issue was the belief that many golfers, be it instructors or amateurs or Tour pros, was that having a launch monitor somehow made you a better instructor. And that if you did not have a launch monitor it meant you were not as good of an instructor and somehow all of the accomplishments and improvements you have made as an instructor were by luck. I find that type of thought to be equally as absurd as the arguments I hear against launch monitors and technology. 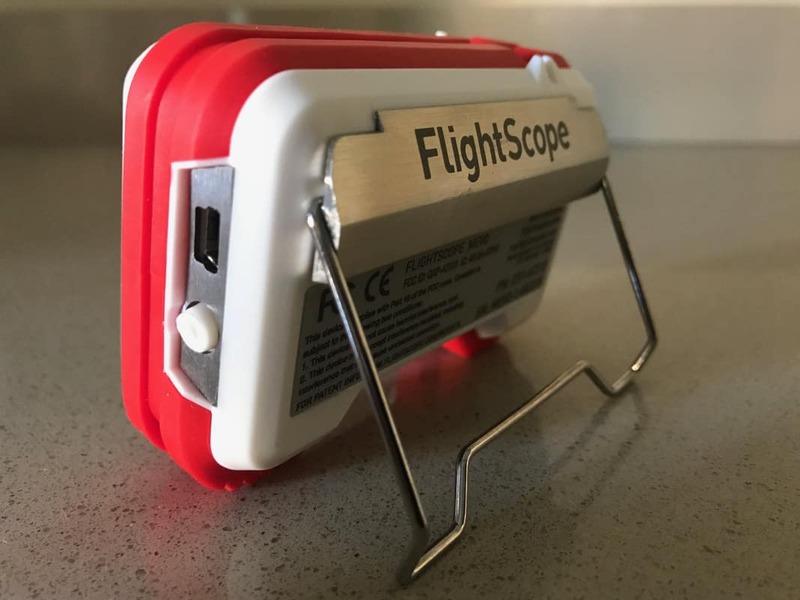 That has been my criticisms of launch monitors and my critics have either been compensated by companies or given free launch monitors and when they don’t have a way to argue against my actual criticisms…they resort to lying and claiming that I am anti-technology which could not be further from the truth. I am about getting it right. Much more often than not, the technology gets it right. It’s the people (myself included) that get it wrong. I just try to be skeptical because I know that if I have gotten it wrong, others can make the same mistake. As a statistician that works with full-time Tour players, coaches and caddies, I tend to analyze radar data with most of the clients. The clients that really don’t care much about radar data are the players that hit the driver fairly well (if not very well) and have no intention of changing their launch conditions. 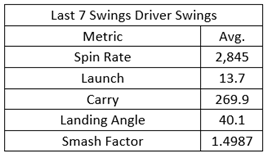 The players that have struggled with the driver or have struggled in the past and found that certain launch conditions provide the best results we tend to analyze the data more closely. A player that may be looking to change their attack angle is something we look at because the launch data that a golfer has in competition is often very different than what they have on the range. I would estimate that 80% of the golfers I have worked with on Tour see LOWER club speed and ball speed numbers in competition than on the range. With the range the golfer has numerous swings they can choose from and when they finally start to find their groove they can produce top club and ball speed numbers. But in competition they do not have that luxury and the surroundings (i.e. water, bunkers, wind, etc) I believe makes them a little more conscious instead of free wheeling their swing. I have seen players do the opposite and perhaps the adrenaline in tournament play gets to them. Either way, it’s nice to know what the radar data says in competition because Tour players don’t make any money on the range. If they did, Seung-Yul Noh would be a multi-time major winner. The struggles I have had lately is my issues with ‘hanging back.’ This creates a too upward of an attack angle with the driver (+5 to +6 degrees) with not enough forward shaft lean. The end result is too much spin loft, too high of a launch angle, hitting the ball lower on the face and too much spin overall. The Mevo doesn’t give us the spin loft data, but it does give launch angle, spin rate, hang time, Max Height, Smash Factor and carry distance. All of which can be used to help measure progress. I do NOT plan on using the Mevo on every session or using it constantly because that is not the best way to learn. But, I do plan on using it about once a week to measure the progress I am making as well to experiment with ways to get the key metrics closer to where I want them. Part of my ‘hanging back’ is that I have some speed issues. For instance, my club speed with the 7-iron is 92-93 mph. The Tour average with a 7-iron is 90 mph. However, I only hit my 7-iron at the Tour average of 172 mph carry. Again, it’s a launch conditions issue. When I get to the driver, my club speed is 109-110 mph while the Tour average is at 113.7 mph. Thus the hanging back, I believe, causes some speed issues when I get to the driver. But part of being able to generate more speed is to train for it. The brain tends to hold back a bit, acting as a governor when practicing or playing. I think any legitimate device measuring speed can be useful in helping re-train the brain out of this habit. In an effort to try and keep the spin rate down, I’m looking for equipment that will help with that. So that goes for ball testing and even testing at big retail stores in their hitting bays where their launch monitors can manipulate how far you hit the ball. The Mevo is also small enough that I can use on the actual course if there is nobody behind me. For my money, the very best launch monitor for club fitting is the FlightScope Xi Tour. Mainly because it has all of the features and includes the shaft acceleration profile to help determine how well the shaft fits you. I will be taking a trip to Fujikura in April and getting fitted on their ENSO machine and receiving the highest quality fitting out there, but ENSO is not a launch monitor. With the Mevo, a club fitter can get most of the critical information to derive a quality club fitting. Obviously, the Mevo has my stamp of approval. But I also thought it was good to point out to why I purchased the Mevo. A few months ago I was talking to a very financially successful instructor who is pro-technology, but refuses to purchase a launch monitor. His reasoning was that the return on investment just wasn’t there for him. Most of his clientele are 1-off lesson takers and the customers that do take lessons he is more worried about keeping them playing the game and trying to get them to actually practice. He also explained that when he works with a Tour player or collegiate golfer that may want that information, he can either borrow or rent a launch monitor or use theirs if they own one themselves. It’s hard to argue because he has quite a few excellent students, but the majority of his revenues come from clients that are simply not interested. And the only way to get a ROI on a $10k-$25k launch monitor would be to increase his lesson prices and that increase in the price point may drive away customers and actually decrease his revenues in the end. Instruction is still a business and a smart businessperson is always keeping a critical eye on ROI. But with the Mevo he can now afford the hit if the ROI does not pan out. He can also use that to help more with club fitting and make up his ROI with that revenue stream instead. 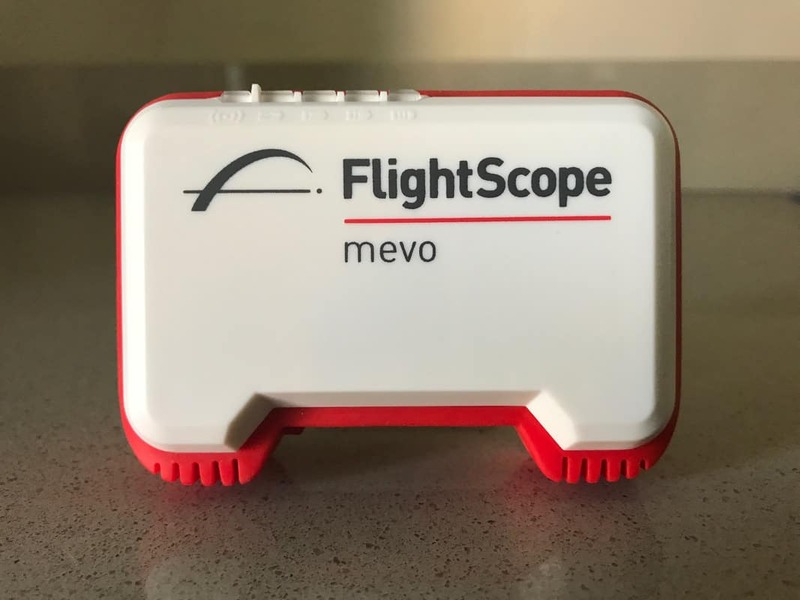 For the regular golfer, if you understand launch data well enough, you can take the Mevo and get most of the information you need to get a ballpark figure in determing the missing metrics such as attack angle and spin loft. It is still a guesstimate. And the top end launch monitors will provide you with face angle, path, etc. 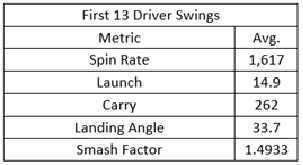 numbers that can help you understand your swing dynamics better. Thus, those high end launch monitors still have their value from a practice and instruction perspective. But at the price point of the Mevo, it provides a worthy and reasonable alternative. This event will feature rounds at Spyglass Hill GC, Monterey Peninsula CC and Pebble Beach Golf Links. The cut comes after Saturday with each player getting 1 round at each course. After the cut is made, the final round will feature each player playing at Pebble Beach GL for a second time. This is also a Pro-Am and each player will be paired with an Amateur. While it’s a historic tournament with a great tradition and I generally really like Pebble Beach and Spyglass, this is not one of my personal favorite events of the year. As a statistician, I’m not a fan of events that play more than one course because the Tour only keeps ShotLink data on one course. As a competitive golfer, my dislike is that weather can influence performance and players that get on a certain course at a certain time could greatly benefit due to sheer luck. The rounds are very long since it’s a Pro-Am each day. You’re looking a 6+ hour rounds and with the players between 3 courses, it’s hard to get to see the players you want. Television loves to stick to the name players anyway, but it’s not uncommon at the Pebble Beach Pro-Am for the leader thru 3 rounds almost get zero coverage because of how the event is formatted. Typically when I go to Tour events I go on Tuesday because your regular Tour event has a pro-am on Monday and Wednesday (Wednesday is the bigger pro-am event). That way I can talk with my clients without them having to focus on the pro-am event and the obligations they have to give time to their amateur partners. I know at Bay Hill, the amateur pays $8k to play in the Wednesday pro-am. But watching these Wednesday pro-ams are painful. Lots of amateurs that have no shot of breaking 100 on a course with thick rough, super slick green, lots of water and forced carries. As a spectator, you have to watch out because the ball may just go anywhere when the amateur is playing. The PB Pro-Am used to generate my interest because the celebrities were interesting and likeable people such as Jack Lemmon and Clint Eastwood. Now the event revolves around Bill Murray, who is brilliant, but not always the most likeable celebrity. So for the Tour players, this is either an event you look forward to because of the courses and the tradition or it’s an event that you begrudgingly play in because you need to get into any event you can or the courses fit your game to a tee. One major thing is that Pebble Beach is vastly different than when they set it up for the US Open. For instance, the tee on the 17th is moved about 40 yards forward for the Tour pros in this event compared to the US Open. The main complaint I’ve heard from golfers about Pebble Beach is that it has the great holes and everything else is rather pedestrian. I’ve never played Pebble Beach, but from looking at it on Google Earth, I like the design because as long as it avoids poorly designed holes, I see that as the natural ebb and flow of a course. Not every hole on a course is going to be spectacular and when you throw some ordinary looking designed holes it helps emphasize the great holes even more. Anyway, Pebble features some of the smallest greens on Tour. There’s not a lot of reason to fire at flags because the green complexes are only about 3,000 square feet compared to modern courses that are closer to 6,000+ square feet. The greens at Pebble also are the slowest with the most severe contours and that brings the make percentages way down. It’s one of the few courses where good putters tend to have an advantage. The reason for Dustin Johnson’s success here despite not being a great putter is that he putts more effectively on slower greens, even if they have severe contours. 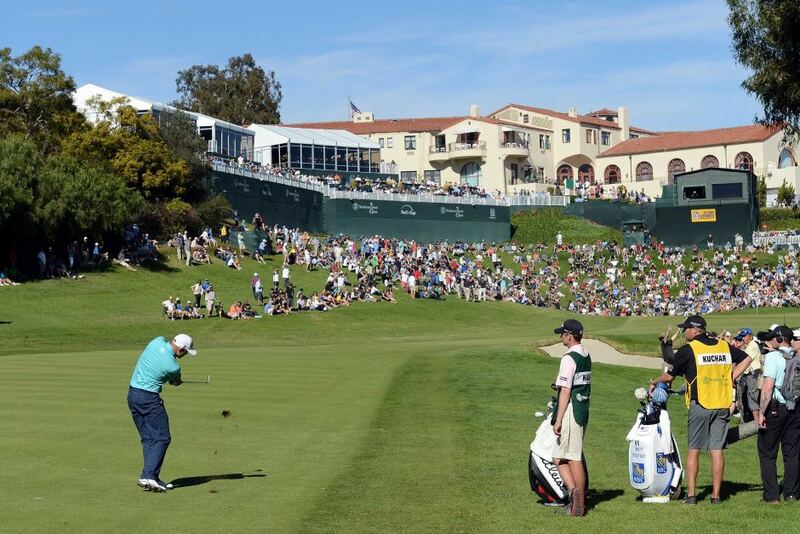 As great as the 18th hole is, it’s not a ‘critical hole’ at Pebble. The last critical hole comes on the tricky par-5 14th hole. In recent years a big trend with YouTube and golf instructors is for them to develop YouTube channels dedicated to club reviews. What’s odd is the overwhelming majority of the reviewers are from England for whatever reason. One would think that this would be more prevalent with US instructors given how equipment sales are much larger in the US than in Europe. In fact, we are seeing an influx of Japanese OEM’s that are trying to force their way into the US market like Honma, Epon and PRGR because it’s undeniable how big the US market is with golf equipment. In fact, Shiels has reached such popularity that he has been named as one of the judges for Wilson Golf’s next Driver vs. Driver 2 reality show coming up on The Golf Channel this year. I had mentioned that Shiels was going to be one of the judges in my 2018 PGA Merchandise Show review and that I thought it was a great choice, even though I’m not a big fan of the reviews. My issue with the reviews is that regardless of the reviewer, the reviews are pretty much the same and it’s mostly subjective data. The reviewer will go over the club(s) they are going to review. What the marketing behind the club says and then hit a bunch of shots with a launch monitor and go over the ball flight numbers (the only real objective data in the review) and mostly go with what their thoughts are on the feel and looks of the club. I’ve even seen Rick Shiels review the naming of the model such as his dislike of the name ‘Epic’ for the Callaway models. This really is not a knock against those reviewers as looks and feel play a huge role in a club purchase. I believe that not only do most golfers purchase equipment based on looks and feel, but that there is normally a universal standard of sorts when it comes to looks. Most people find blade irons to be pretty while they just don’t see game improvement irons to look that great. 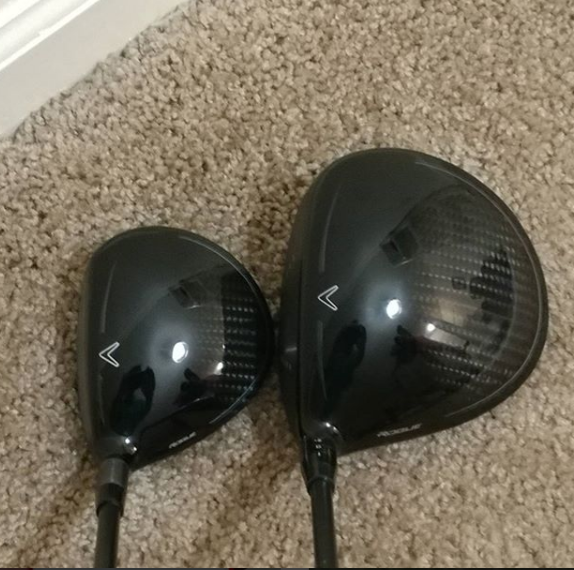 The same goes for the Wilson Triton driver which I’ve mostly heard from owners that it performed great…but the looks and feel (mostly from the sound) were underwhelming. But my point is that the lack of objective data in these reviews leaves a lot left to be desired for more critical golfers like myself. For instance, I tend to put too much spin on the ball so I am always looking for a low spinning driver head. But, it’s difficult to tell a comparison of what heads will derive more or less spin or lower or higher launch angles unless you actually get fitted. And many fitters do not have all of the driver heads a golfer could want to try in order to find the best possible fit. And the ones that do are quite pricey and provide ‘ala carte’ pricing. Ala carte pricing is when the clubfitter takes the retail price of each of the components of a club that they have custom fitted for the golfer. And that does not include the fee for the club fitter to put the club together which usually is around $100 to $150 (and they often charge sales tax). By the end you’re looking at a driver that costs over $950. And drivers due lose some of their COR (spring effect) after a couple of years of use as Kelvin Miyahira tested this out a few years ago (it’s one of the big selling points of the Krank Golf drivers…their heads don’t lose COR over time). So you could pay nearly $1,000 for a custom fitted that could need to be replaced in 3 years and by then that model is no longer being sold. 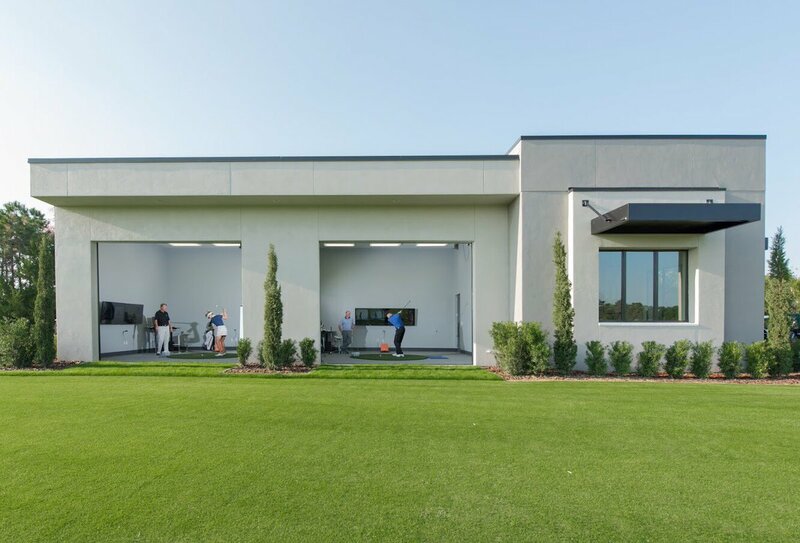 What The Golf Lab has created is one of the most state of the art facilities in the world for golf instruction and club fitting. As many readers already know, I’ve been a huge fan of the GolfMechanix products since I purchased their MOI Auditor Machine back in 2012. But GolfMechanix has so many other great products that The Golf Lab has in their studio such as the digital lie and loft bending machine that can measure the loft and face angle at different parts of the face. As Tom Wishon pointed out years ago with his head designs…the loft changes on OEM driver heads throughout the face. This is due to the ‘roll’ design of the heads. The loft gets lower towards the bottom of the head and the loft increase towards the crown of the head. Wishon created drivers with what he calls Graduated Roll Technology in order to not lose loft on shots hit low on the head…while only seeing a slight increase in the loft on shots struck higher on the head. The Golf Lab also has GolfMechanix’s Center of Gravity locator machine (retails about at $5,500). This is the key piece of equipment in these reviews. Most driver heads are fairly similar in terms of size (roughly 460 cc), lie angle and loft options as well as the COR. Companies have a regulation in terms of COR and each company pushes the limit on COR. Thus, any claim that you will hit this driver ’20 yards further!’ should be taken with a grain of salt. It’s not that a golfer cannot hit a certain driver 20 yards further, but it has little to do with the driver having a ‘hotter’ face and it’s unlikely they will be able to be able to swing the club with faster club speed and a faster resultant ball speed that, by themselves, would produce 20 yards more distance. Instead, if you can find the head with the right Center of Gravity for your swing (as well as the right shaft), then you can start to get into a legitimate conversation of hitting it 20 yards further and straighter. And thus you’re getting into a conversation of actually making a smart, logical decision in purchasing a piece of equipment. In recent years I feel that OEM’s have made great strides in creating legitimate differences in their driver heads. I feel the TaylorMade twist face is legitimate in terms of making off-center hits better. Also companies like TaylorMade, Callaway and Ping have found better designs of the Center of Gravity and loft specs to create better performance. Check out this Be Better Golf video at the 11:00 minute mark where they Brendon DeVore hits a very popular 2007 TaylorMade driver model versus the M1 at the MyGolfSpy lab. The Golf Lab has stated that they plan to more videos. Hopefully they can find a membership plan or a lower price point to do more videos so one can carefully examine and compare year’s models of all OEM drivers. I won’t go into the findings here because that is what the video is for. But Mucklow and his assistant, Carson Hau, do a great job of clearly explaining what the numbers mean and how that will affect the ball flight conditions. Mucklow also hits each the M1 and the M3 driver with the weight moved all the way forward and the weight moved all the way back and shows the results and explains the conclusions as to why the ball performed different with each head and where they moved the weight. And just as importantly, unlike most reviewers…Mucklow uses the same golf shaft in each head (and each weight location)…a Fujikura Atmos Blue 6 X-Stiff shaft that he says is his gamer shaft. That is critical because most reviewers use a different shaft when they compare clubs and the shaft properties can easily alter the launch conditions of a shot. Hopefully, this can develop into something similar to the Wishon Shaft Bend Profile database that Tom Wishon has that can tell you the properties of thousands of golf shafts. In the meantime, it’s an excellent presentation of understanding the design of a driver head. And whether you are an amateur or a golf instructor, shouldn’t you understand the fundamentals of the equipment you are using?